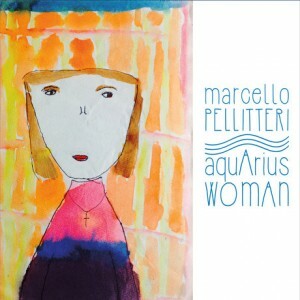 Marcello Pellitteri’s second musical tribute to his late daughter, Veronica (1991–2014), is the Italian drummer’s most eclectic yet cohesive record to date. The album title is one of many references Veronica’s personal legacy (Aquarius being her astrological sign), palpable in every song her father pens. Whether in the youthful groove of “Twenty Three,” the melody of which contains as many notes (one for each year she lived) or the title track, in which the musicians pave an incidental runway for Veronica’s reading of “Greetings Of Hope” by Indonesian poet Murtiningrum, Pellitteri’s feel for feeling is beyond heartfelt. Even his opener, “Chasin’ The Zone,” comes across as a search for catharsis, as emphasized by the addition of tenor saxophonist George Garzone to the core band. In this, Pellitteri proves himself a capable bandleader, attending equally to melodic and rhythmic contours of the music, while altoist Orazio Maugeri and pianist Salvatore Bonafede varnish the grain with fortitude. Pellitteri’s writing, as in the balladic “Longing,” is of a decidedly classic style. Other tributes to Veronica include two of her favorite songs: Alicia Keys’s “If I Ain’t Got You” and Stevie Wonder’s “Ribbon In The Sky.” In their present arrangements, sung respectively Nedelka Prescod and Lauren Kinhan, the soul of a music lover lives on. Rounding out the set are some beautifully textured originals from in-house keyboardist Salvatore Bonafede, including “Villeneuve,” a prime showcase for Pellitteri’s kit work. Other highlights are Maugeri’s “Saxando” and the wistful “Colors On Your Face” (co-written by Bevilacqua and New York singer-songwriter Laura Campisi), which moves to the pace of Pellitteri’s locomotive timekeeping and Bonafede’s John Taylor-esque pianism. The album closes with “Strange Light,” a collective improvisational response to the poem “Luce Strana,” written and recited by Marcello Todaro, who also provides ambient textures on electric guitar. 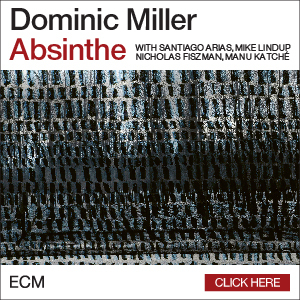 Personnel: Marcello Pellitteri, drums; Orazio Mauger,: alto saxophone; Salvatore Bonafede, acoustic piano, electric piano; Gabrio Bevilacqua, acoustic bass; George Garzone, tenor saxophone (1); Veronica Pellitteri, spoken word (1); Nedelka Prescod, vocals (7); Rino Cirinnà: tenor saxophone (1); Lauren Kinhan, vocals (12); Yvonnick Prene: harmonica (12); Marcello Todaro, electric guitar, spoken word (13).